We design and install high quality printed hoardings. Building site hoarding do serve a health and safety purpose protecting the public from the dangerous building work. Developers have taken this opportunity to advertise their project on the hoarding as this is free advertising space. We are Building wrap specialist. 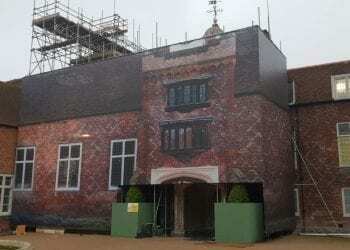 Digitally printing on to a PVC mesh is a great way to conceal scaffolding during construction or renovation work. 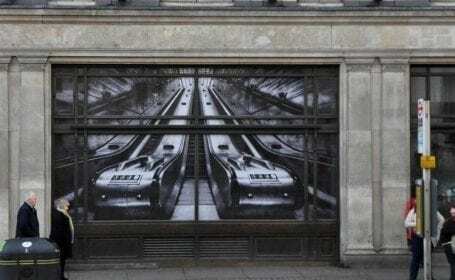 Building wraps are becoming more affordable as the cost of print has come down. Call us now for a free quote. Also known as Trompe l’oeil Building wrap. The word Trompe l’oeil is French and literally means ‘deceives the eye’. Visual illusions in art, especially as used to trick the eye into perceiving a painted or printed detail is as a three-dimensional object. Because of our experience we are able to undertake some of most difficult and complex superwide large format digital printwork. Offering practical advice, design and installation.But do not take our word for it, have a look at our Blog page. You will see Project Print Management deliver specialist print work and happy to supply references for peace of mind. 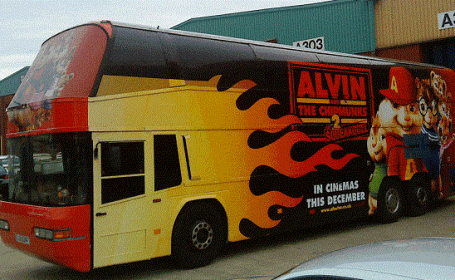 Some business are exploring the idea of this fast-growing medium of vehicle wrapping as an effective advertising tool. Small businesses, large corporations, media outlets and others that want to attract attention are turning to vehicle advertising as a means to that end. We are service and solution driven print company with 25 years experience in the industry. We have no in-house print production giving us the focus on our clients needs and managing the work in hand. We let print production companies worry about keeping the expensive print machines maintained and running.What would the cost be if you commissioned an inexperienced print supplier and the job went wrong? Lose a client, your reputation, an injury to member of public or even worse? Project Print Management are a Scaffolding and Building wrap specialist, which includes printed marketing and advertising hoardings. With our creative thinking and our can-do attitude, we offer practical and deliverable solutions for the more challenging large format print project. With over 25 years of experience and delivering some of the most audacious print work, demonstrates we are a leader in large format digital printing. Our projects range from, massive building wrap around the whole of Everton Football Club stadium. 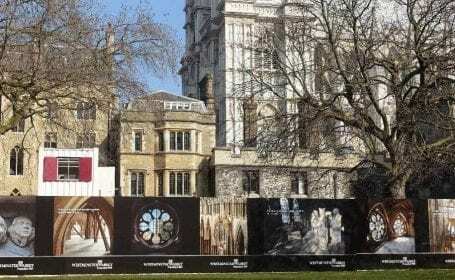 Printed hoardings at Westminster Abbey, to wrapping nine buildings with a trompe l’oeil building wraps down Harley Street and two at Fulham Palace. 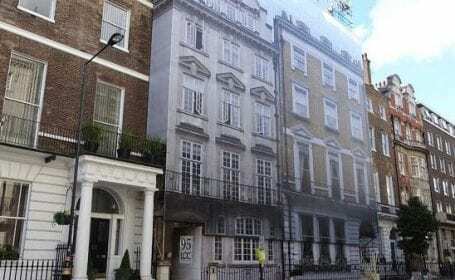 Specialist in Building wraps and Printed hoardings. Being a building wrap specialist, we can also supply the hire and installation of the scaffolding sub-frames needed to wrap the mesh PVC print around. We are also happy to work with your chosen scaffold contractor and work with them to ensure the necessary sub-frame is installed correctly. Our Printed hoardings are high quality 3mm aluminium composite panel. Digitally printed high resolution and over laminated with an anti-graffiti film. The laminate will give the print better longevity and any graffiti can be wiped off without damaging the print. Most of our building wraps are for decorative purpose. Hiding or disguising the unattractive cumbersome scaffold will greatly enhance the construction site and the overall amenity. 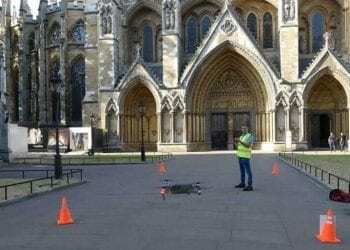 Something the architect and planners are insisting on, especially on architectural or historical buildings of importance. Building wrap and high level (anything over 4.6 meters from the ground to top of the advertisement) billboards can also be used of advertising. However, any advertising which can be as simple as a web address, company logo or telephone number is considered advertising. This will require advertising consent. The default position of the council is no, and the applicant will need to persuade them otherwise. We are a full service business offering, surveys, creative design, print and installation. We have many years of experience delivering the most demanding of print requirements. Our success is because we collaborate with only the best and experienced industry professionals who know how to deliver. We are the missing link between design and advertising agency to print manufacture, offering a one point solution for the more complexed print projects. When it comes to implementing the creative ideas which inspire the ultimate client it’s often more difficult than it seems to “make it happen” which is where we come in. Project Print Management does not have any internal print production. This therefor gives us the freedom to select specialist print manufactures required for each project. We provide practical advice based on years of experience to ensure we delivery your print project on time and budget. We also offer a wide range of large format digital printing, which includes but not limited to, Window graphics, Vehicle Branding, Portacabin wraps, Backdrops and Event Branding. Project Print Management’s reputation and work speaks for itself. Please contact us or take a look at our blog page for information and photos of our latest work. 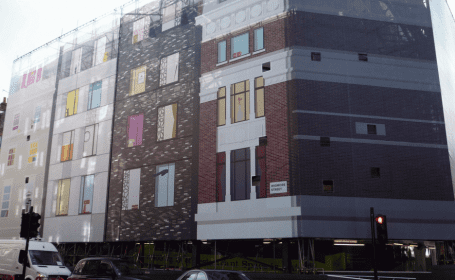 UK largest Building wrap in 2017. 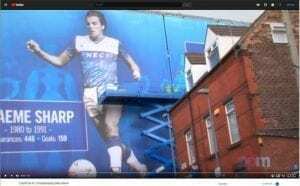 Video of the Everton FC Stadium wrap installation.